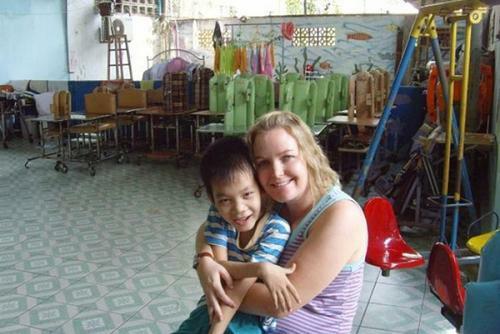 Are you ready to experience the most life-changing journey ever in South East Asia? 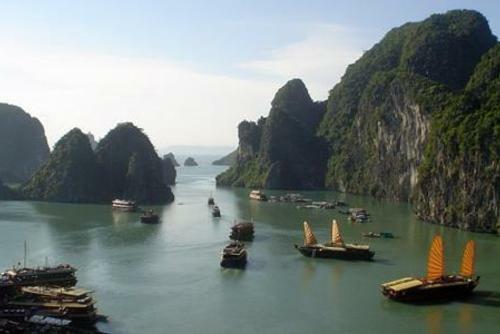 Experience the beautiful mountain ranges of Sapa, walk around and swim in beautiful waterfalls, visit the nearly two thousand islands of Halong Bay. Looking for chill time? Kick back and join our rooftop pool party with views over the whole city of Hanoi! 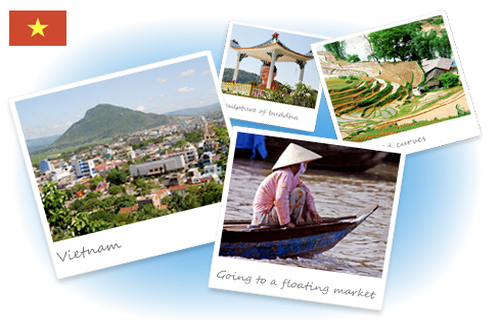 Open your eyes to the beauty that Vietnam has to offer and make a real positive impact in local communities. 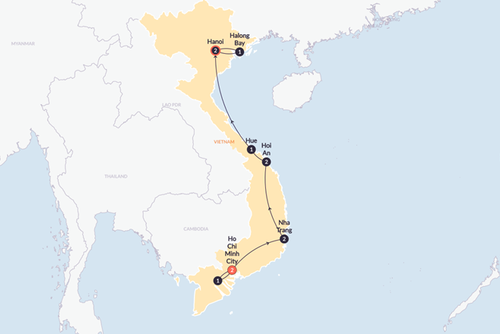 Dedicated Team: Our highly-trained team have all participated in the program, ensuring you're fully prepared for your trip of a lifetime in Vietnam! 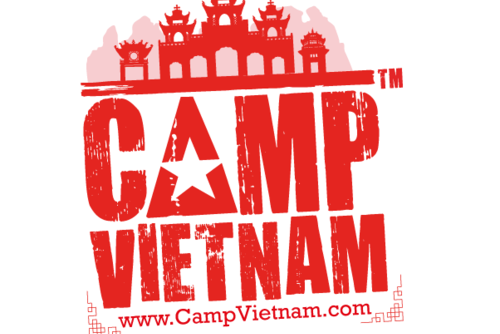 Welcome to Camp Vietnam! 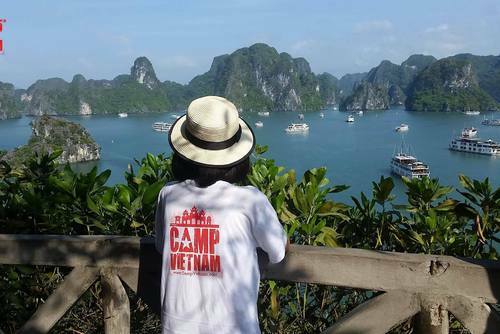 You will be met and greeted by the Camp Vietnam team at the airport, before heading off with your new friends to check into your accommodation. That evening you will enjoy a welcome meal and a trip to the famous Ta Hien Pub Street; the perfect way to meet your new friends and immerse yourself in Vietnamese culture. Today let’s explore Hanoi like a Local by a walking and cyclo tour. To start the trip, we enjoy a city walking tour through some of ‘Hanoi’s 36 Streets otherwise known as the Old Quarter. 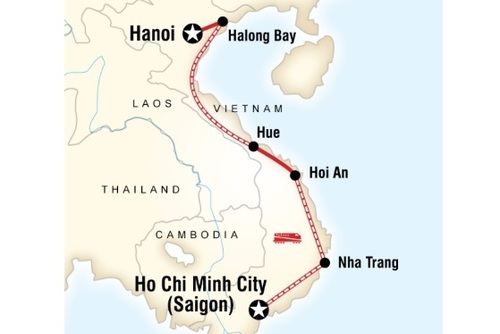 We will visit some historical features of ancient Hanoi, such as Hoan Kiem Lake, the Quan De Temple, get a cyclo to Hoa Lo Prison, then the Womens Museum. After that get a transfer to a locally famous noodle restaurant which Barack Obama visited and ate at during his time in Vietnam. Day 3 – 5: Mai Chau village! On arrival in Lac Village, Mai Chau, you will be staying in a homestay–a traditional stilt house of Thai minority people. Enjoy some free time to relax after the journey. For lunch, you will then have chance to taste some local specialties. Lac village is situated in a picturesque valley of peach orchards. There, you can walk along gravel tracks and small paths used by the locals or rent bicycles to explore the local area. The verdant and rugged mountain scenery, combined with the colourful local population, makes this an unforgettable place to visit. You will be given the extraordinarily unique opportunity to teach in local pagodas ran by monks. 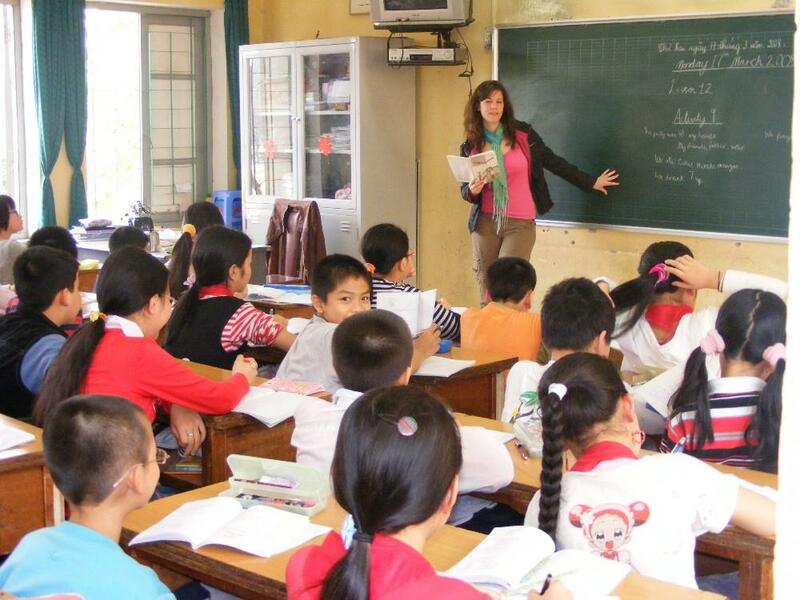 You will teach English, run fun games and activities with the kids. You will even get to meet the monks and be taught Buddhism and Taoism from the higher monks. You will get an immersive opportunity to really integrate with the locals and get the true experience of a new culture that will be a true once in a lifetime experience. Free time to explore Hanoi and experience the amazing Trill Rooftop Pool Party which is at the top of one of the tallest building in Hanoi. Leave on the evening of the 10th day to travel to Sapa on one of the famous Vietnamese overnight trains! Day 11 – 16: Sapa Homestay and Trekking Adventure. Sapa is a beautiful rural area in the north-west of the country, it’s rolling landscape composed of terraced-fields cultivated for crops are famous world-wide. Here you will have the opportunity to teach children in some of the local homestay’s as well as engaging in lots of fun games with the children. You will have the opportunity to trek through the picturesque mountains of Sapa, the highest in the whole of Indonesia. 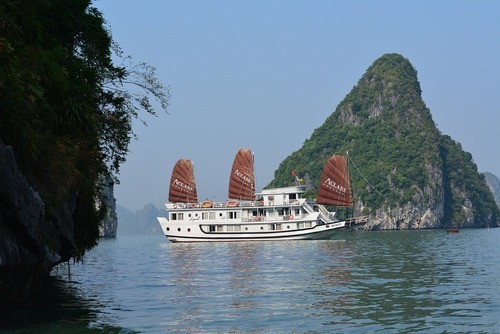 Day 17-19: Ha Long Bay! 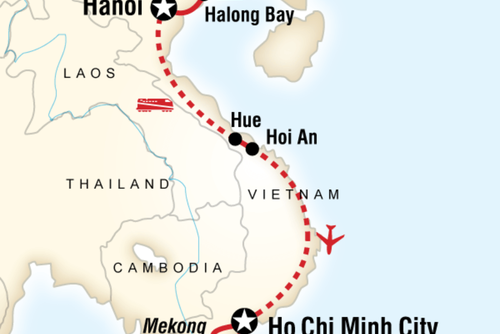 You will travel from Camp down to Ha Long Bay (An UNESCO World Heritage Site) to spend three days and two nights exploring this fantastic area. This globally-popular location, where mountains shoot up from out of the sea is a must see. 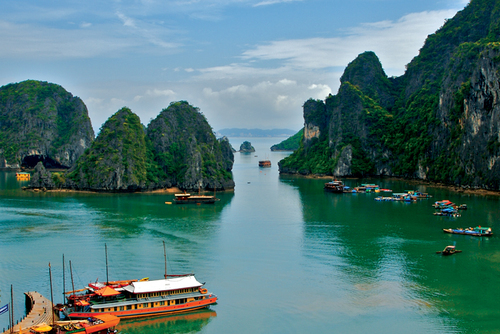 You will explore caves, enjoy swimming and kayaking in the emerald green waters of Ha Long Bay. You will also be exploring Cat Ba island which is home to the Cat Ba Langur Monkey (Only 50 in the world). You will spend two days sleeping on a luxury mini-cruise boat whilst waking up to the beautiful views of the Bay from your window. Day 20: Free day Hanoi and farewell dinner. Today you will have time to relax or buy souvenirs and immerse yourself in the hustle and bustle of Hanoi. Explore the Old Quarter or some local museums. Don’t forget to try some local food or sneak off to Chicken Street. In the evening, there will be a dinner arranged for everyone to get together before heading back home or to onward travels. 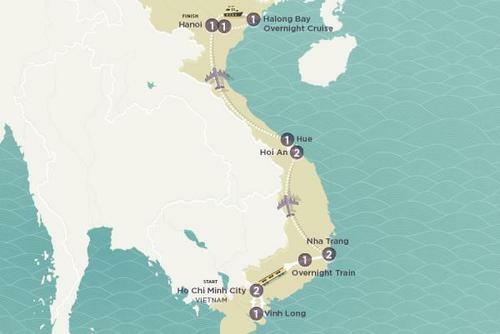 This will be your last chance to soak up the Hanoi nightlife. Day 21: Final Day of Camp Vietnam. 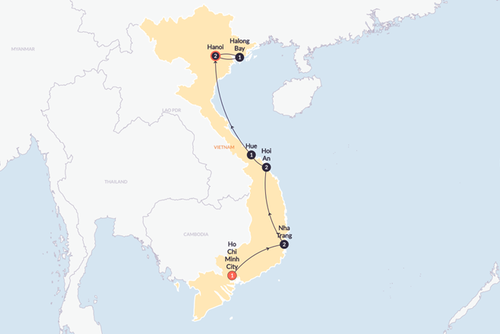 This is your final day at Camp Vietnam and we will be arranging a drop off at the international airport for you to get your flights home or to your next destination.